Many Christians live their lives with great emphasis on a heavy Jewish influence in how they live their lives as Christians. They may celebrate the Jewish Holy Days, dress in traditional Jewish garb, or even call their pastors Rabbi. However, one thing that many of these Christians also do along with others is incorporate the Mosaic Law in their beliefs and practice. This law keeping has a direct connection to the teachings of the Old Testament Law. To fully understand if this is something that Christians should do, a Christian study of the Mosaic Law should be done. Simply stated, the Mosaic Law is also known as the Law of Moses. Moses received the law from God on Mt. Sinai. 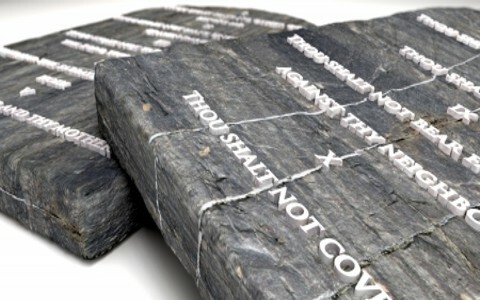 Depending on your school of thought, there were about 734 Old Testament commandments in the law, including the 10 commandments. The law covered theological practices, health and dietary, social practices and criminal laws, ceremonial, and others. Why was the Mosaic Law given? We can see from these references and more that the Mosaic Law had many purposes. However, the child of God in Christ is delivered from the curse of the law because of God’s grace through Christ (Galatians 3:36). Therefore, as new creatures in Christ, “…old things are passed away; behold, all things are become new” (2 Corinthians 5:17). Let us go forward and share the good news of the gospel with the world: that Christ died for our sins according to the Scriptures: And that He was buried, and rose again the third day, and that whosoever believeth in Him, should not perish, but have everlasting life (1 Corinthians 15:1-4; John 3:16). Many Christians, along with others, incorporate the Mosaic Law in their beliefs and practice. This law keeping has a direct connection to the Old Testament. The Mosaic Law was given to Moses by God at Mt. Sinai and is known as The Law. Because it was known as the Mosaic Law, a tendency to interpret it and give it stretched meaning often became problematic. Christ fulfilled the law at the cross and delivered believers from the law. Related reading: Should Christians Observe Jewish Holidays?